We purchased our first home in April of this year. While most of our wall decorations are already up, I couldn't help but notice that there are no baby pictures of our daughter hanging up. When I was offered the chance to try Instantly Framed, I knew the exact picture I would use. My daughter was less than a day old, laying comfortably in her daddy's arms in our hospital room. Back then, we couldn't afford the hospital newborn pictures which is probably why we never had any hanging up. Over the years, I've used this picture on all sorts of photo gifts but it never dawned on me that I probably should have one on the wall. 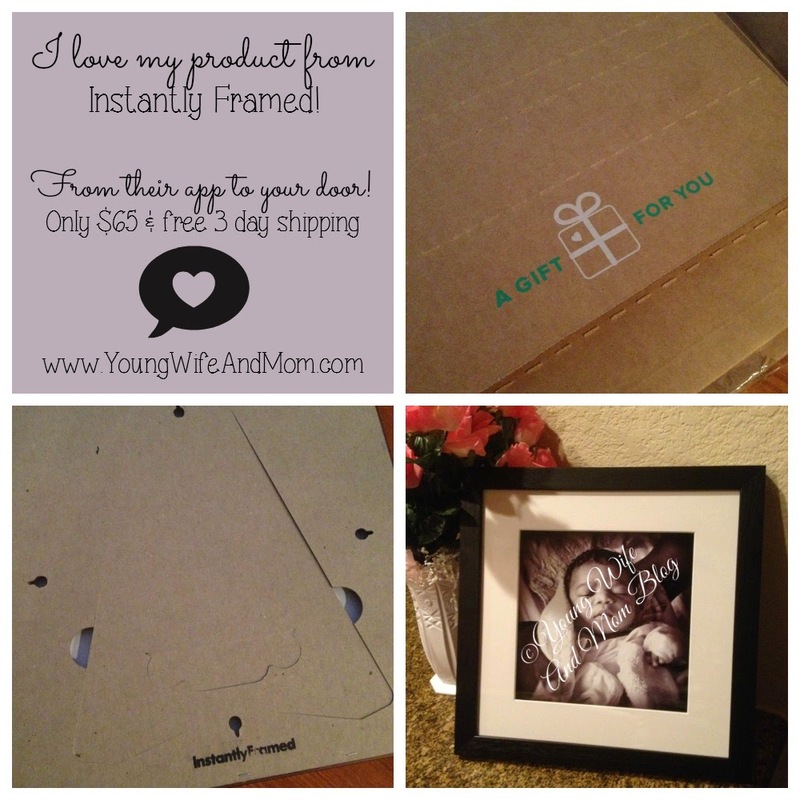 Instantly Framed is an app that you download to your apple or android mobile device. 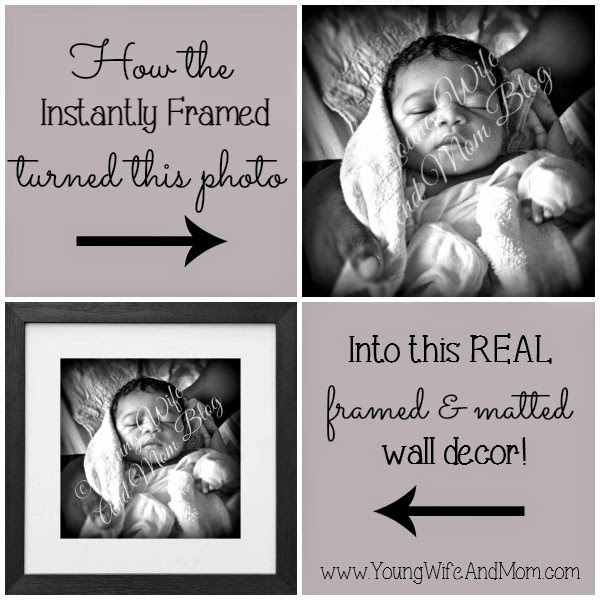 Once installed, it allows you to take your photo and order it completely framed. You upload your photo, choose your size, and place your order. You receive an email confirmation and the actual product beautifully matted in a wood frame, will arrive at your doorstep in 3 days. There are 5 different sizes to choose from for only $65 with free 3 day shipping. I ordered mine on Monday and it arrived on our doorstep Thursday. Here's the finished product. It is so much more beautiful in person. The quality is amazing! You have the choice of hanging it up or using the stand on the back of the frame as I did. This app definitely makes gift giving easy with it's easy to use format, fast shipping and great quality. For my YW&M readers, from November 3rd -November 10, 2014 use the special coupon code "CIYOUNGWIFE10" and save $10 off your order! Disclosure - I received a free code to try the app in its entirely and to order the above product All opinions are mine. For my full disclosure statement, please see here.